Andy Shauf (guitars/keys/vocals), Dallas Bryson (guitar/vocals) and brothers Darryl (bass) and Avery Kissick (drums) where just a bunch of boys coming from the small towns on the Canadian prairies when they formed Foxwarren a decade ago. At the time they were just roommates who went to college in Saskatchewan’s capital Regina. The group centred around Andy Shauf who was, and still is, active as a solo artist and therefore never got around to record a debut. Until this year that is. Foxwarren’s sound of course comes from the records Shauf released of the years. The self titled debut touches the themes like loneliness and melancholy and are both brought with a quiet sort of grace. The album isn’t centered around Shauf but cleary is a product of equivalence. On ‘I’ll Be Alright’ for example Avery Kissick drumming sounds a bit hollow, like is playing on empty plastic barrels (which are in fact tom-toms), which is a perfect addition to the acoustic strums. Layered harmonies and sweet melodies are constantly on the high rise. ’To Be’ is soft with some spare versus. It oddly enough feels warm like The Beach Boys but with clear cold guitar cuts every now and then. The playful use of warm harmonies with colder tones which sometimes come from a guitar, piano or even light synths is Foxwarren’s main selling point. The band is not afraid draw beyond these lines either. ‘Everything Apart’ feels more raw like a rock song but is pieced together by the transcendental effects that are added to Shauf’s singing. Shauf’s voice is another main strength of Foxwarren. His warm, almost distracted singing gives the whole record a starry-eyed imprint which is also reflected in titles like ‘Lost in a Dream’ and ‘Fall Into a Dream’. The latter has a slacker pop swing to it that falls away to the background but returns of a heavier tone in the second instrumental part of the track. 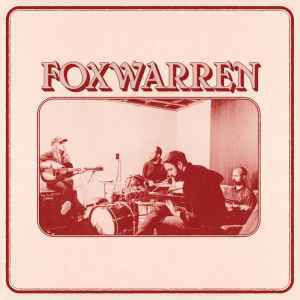 Foxwarren constantly flirts with early 70s folk rock. ‘Your Small Town’ for example is a lovely Crosby, Stills & Nash-like slowburner. Also ‘Sunset Canyon’ feels just as nostalgic. This song is full of breaks which the band uses to play with small bursts of silence. The bunch of boys who loosely started a band 10 years ago deliver a big time debut. It’s an alluring, tender and mostly a stylish, alternative take on 70s rock. At least the album is an ideal 30 minute fade out to those busy work days. Yet the chirping crickets on the albums closing track ‘Give It a Chance’ gives a more undefined deeper meaning to all of the songs. Acceptance and true happiness are two sides of the same coin, so it seems. This entry was posted in WRM and tagged 2018, 70’s, 70s soft-rock, Andy Shauf, Arts & Crafts, Avery Kissick, Canada, cd, Crosby, Dallas Bryson, Darryl Kissick, debut, folk rock, Foxwarren, Regina, review, Saskatchewan, Stills & Nash, The Beach Boys. Bookmark the permalink.